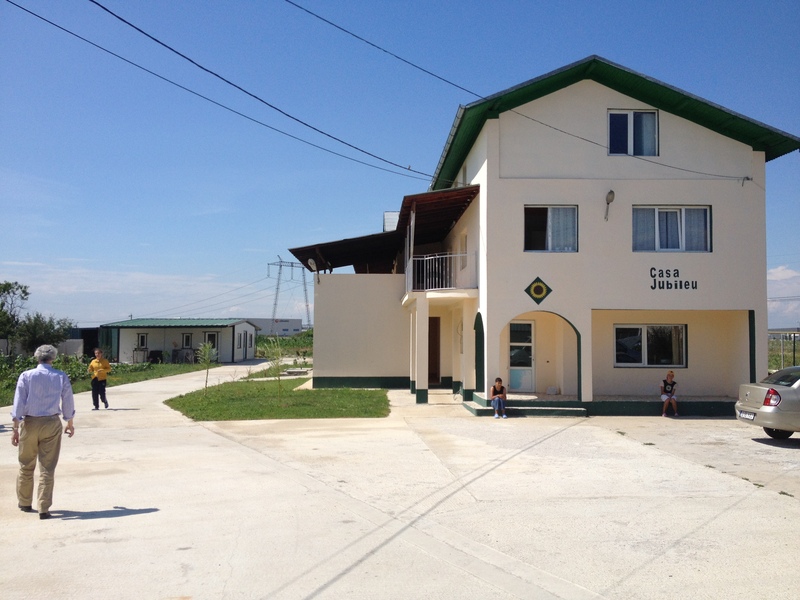 Casa Jubilee is a charity dedicated to the Christian care of vulnerable women in Romania. Casa Jubilee was set up, initially to serve as a series of refuge shelters which gave basic protection and food to abandoned street children. Over the years more than fifty girls have been provided for, including those who had to care for their own young children. The current female residents are all mentally challenged and traumatised to varying degrees. The Centre is greatly assisted by the local clinic nurse, who visits daily to administer the women’s medication and ensure their health issues are dealt with. Over the years the Jubilee home has been transformed from a semi-derelict, run down property to a partially refurbished centre comprised of three accommodation types. Each of these fulfil a necessary purpose, helping to add to the well-being and comfort of each resident but some refurbishment is still required. My first trip to Casa Jubilee, Bucharest, was in August 2011. I had made a very last minute decision to join a youth team that were carrying out mission work between Casa Jubilee and Casa Shalom. I’m so thankful for that spontaneous decision to go on the trip. As the time throughout the mission trip went on, I got to learn about some of the girl’s stories in detail: abuse, neglect and abandonment were unfortunately a common theme. It was quite a difficult pill to swallow – why on earth did I get to go home to a comfortable and secure family unit while these defenceless girls had to rely on strangers for support?